Renaults dazzling new Duster exudes both elegance and strength. Exterior wise you will always travel in style as this SUV was designed to look hot (while operating optimally) both on a highway and a hectic dirt road. Despite being extra tough, the interior is ultra-comfortable, dare we say tender. Love travelling? Well then, 457L boot space doesnt hurt either. Then theres tech, which is all too important these days. Thats why the Renault Duster features USB ports, Bluetooth and satellite controls. 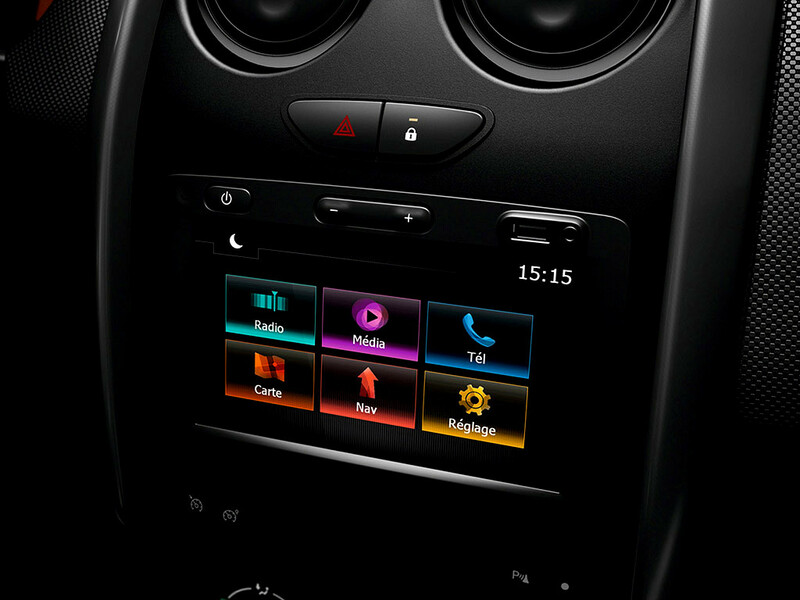 The Dynamique has touchscreen navigation and AUX while the Expression features Radio-CD MP3 with a jack. Safety wise drivers and passengers can sit back and relax with 4 airbags, ABS (anti-lock braking system) plus Emergency Brake Assist and EBD (electronic brake force distribution). 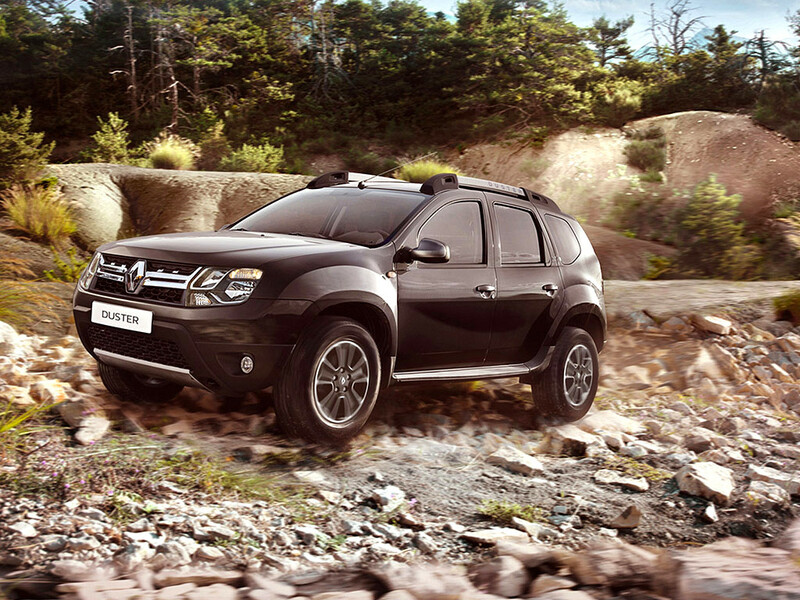 The Duster Dynamique also features 16 steel wheels and satin chrome door handles, door mirrors and longitudinal roof bars. Hows that for a cool, chic and characterful car? Excellent. We thought so too. 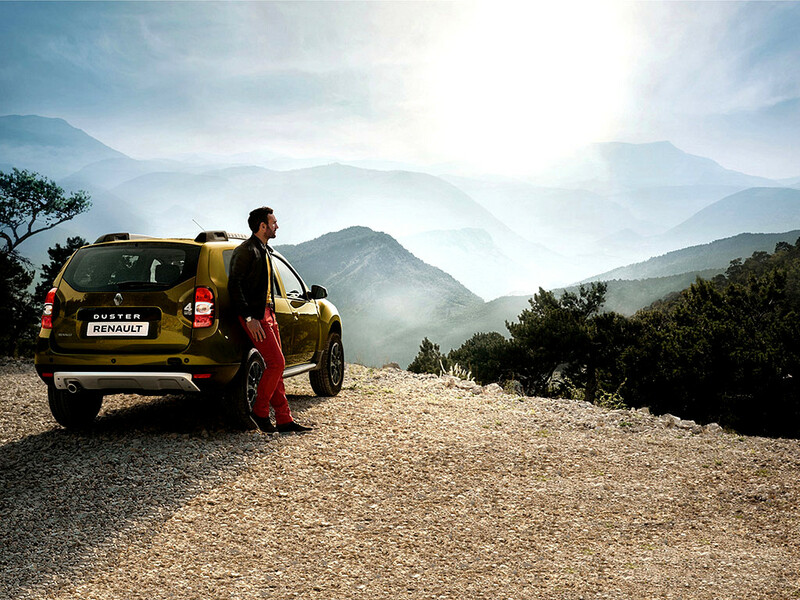 Safety needs can never be underestimated but that is no excuse for comprimsing on comfort Itâ€™s a balancing act that the Renault Duster accepts as a challenge and delivers on skillfully. The result is an SUV that marries the comforts of a sedan, to the rugged strength of an off-roader. Take for example the spacious interiors that complement the grand vistas outside. The adjustable drivers seatmeans that fatigue has a much lesser chance of overtaking you on a long drive. 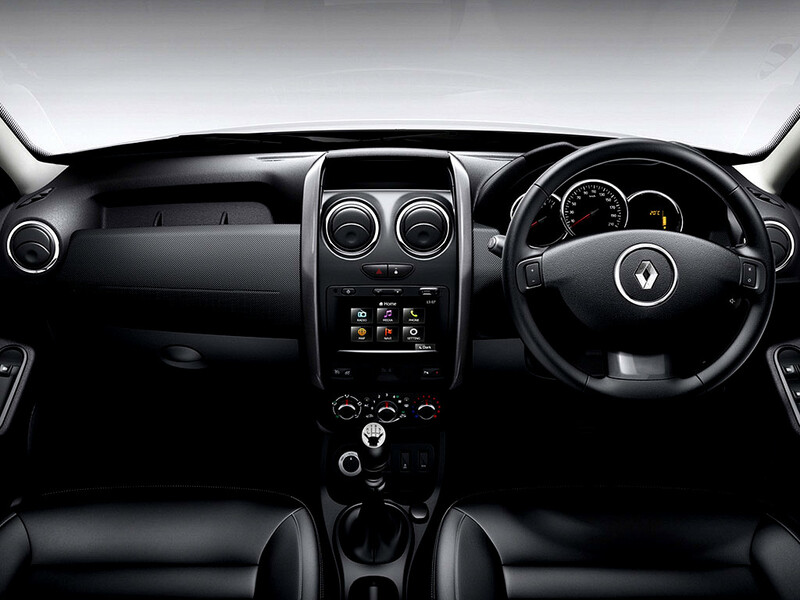 Height-adjustable steering allows you to find the most comfortable driving position. 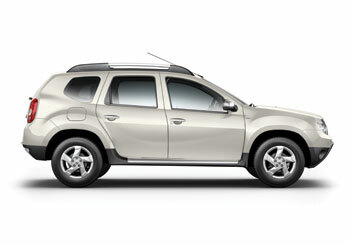 Whatâ€™s more, the Renault Duster has a variety of safety features. The high seating position offers you a better view of the road. 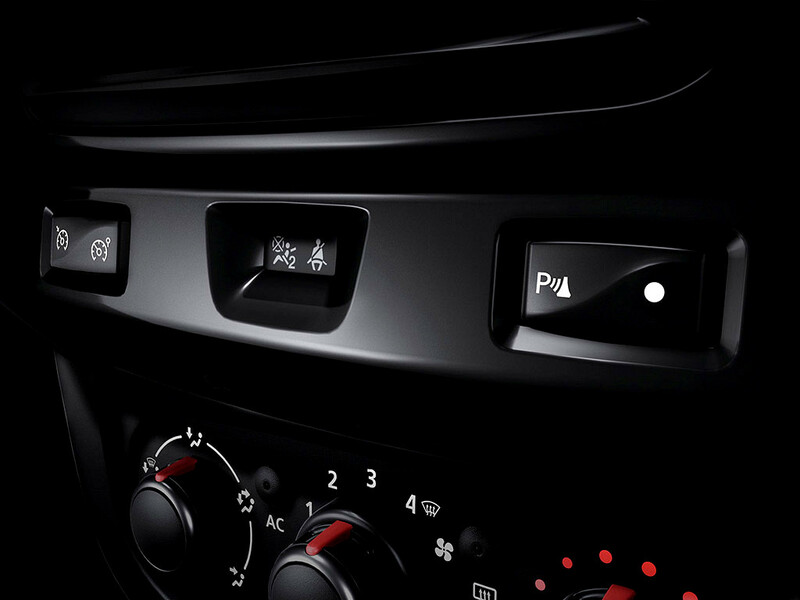 In Dynamique trim, the new Renault Duster features a touchscreen Medianav entertainment system as standard with built-in navigation. 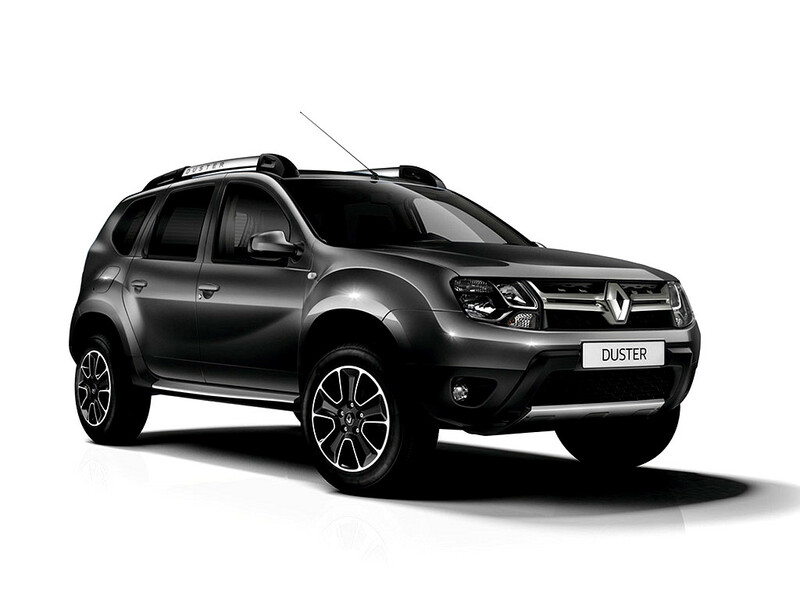 The Renault Duster with its elegant style, chrome-plated radiator grill and double-optic front lamps has a very reassuring appearance. 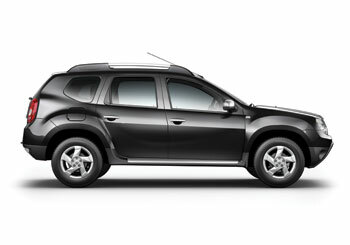 The imposing lines of its front grill and the skid plates reveal the SUV DNA of the Renault Duster. 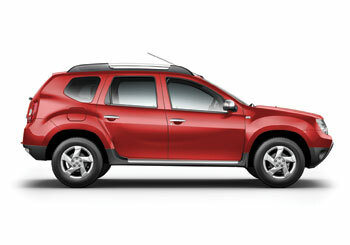 The Dusterâ€™s double barrel headlamps that not only add to its style but provide much better visibility. 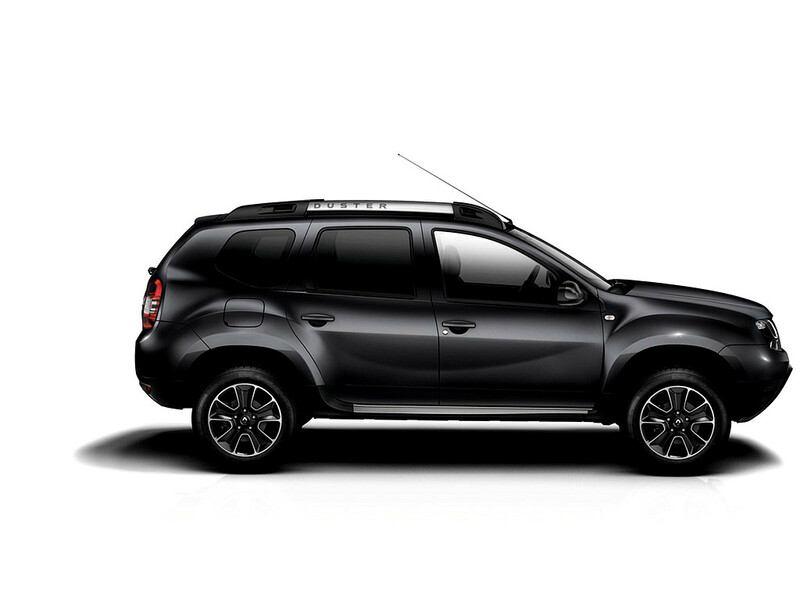 Its satin chrome roof rails also add to the sporty character of the vehicle and the 5 spoke sporty alloys urge you to take the sporty Duster off-road. 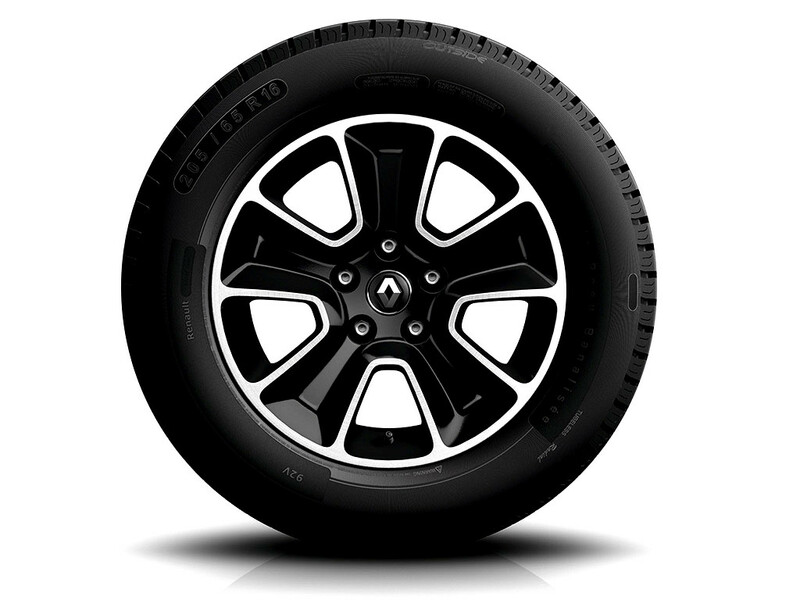 Renaultâ€™s responsible vision involves providing the most modern and effective passive and active safety systems, regardless of the equipment level of your vehicle. With Duster, take advantage of comprehensive array of safety equipment. Protection of vehicle occupants: A set of 4 airbags to effectively protect all occupants. ABS Anti-lock Braking System with EBD Electronic Brake Force Distribution, in conjunction with EBA Emergency Brake Assist: makes it possible to maintain control over the trajectory in the event of heavy braking. Rear parking aid: To make parking manoeuvres easier. 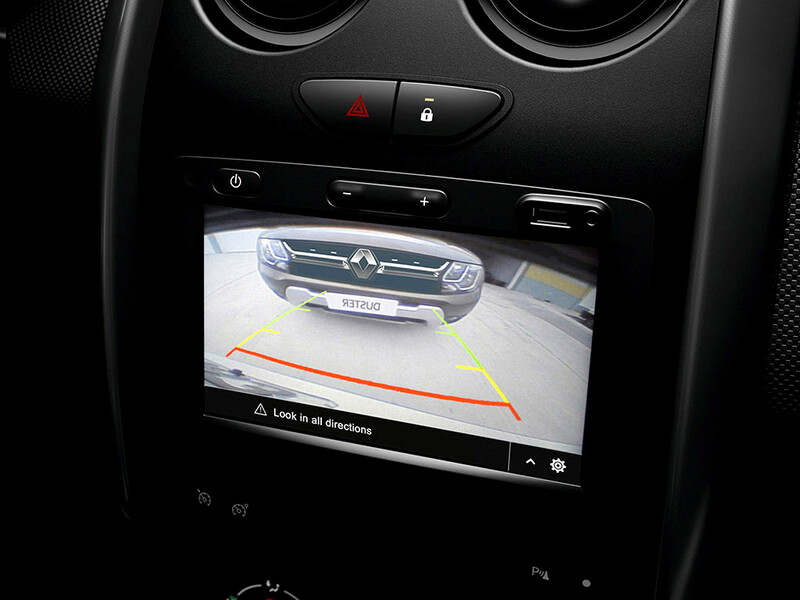 The parking distance control system warns you of obstacles situated behind the vehicle by a sequence of beeps which speed up the closer you are to them.